The global cognitive electronic warfare system market is expected to witness high growth during the forecast period 2023-2028, as cognitive electronic warfare systems have the capability to help overcome the problem of reprogramming the electronic warfare models with advanced capabilities. Artificial Intelligence and Machine Learning with computational hardware are likely to revolutionize the electronic warfare systems to cognitive electronic warfare systems. The increasing demand for cognitive electronic warfare systems is mainly due to the growing demand for artificial intelligence in military and increasing situational awareness of the cognitive electronic warfare systems. According to the analysis, the global cognitive electronic warfare system market is expected to report a revenue of $385.7 million in 2023 and is estimated to cross $928.4 million by 2028, at a CAGR of 19.20% during the forecast period, 2023-2028. Europe, including some of the major companies such as the U.K, Brazil, Russia, Germany, and France is the most prominent region for the cognitive electronic warfare systems market. North America is the second most prominent regions, which is continuously progressing in the field of cognitive electronic warfare systems market. 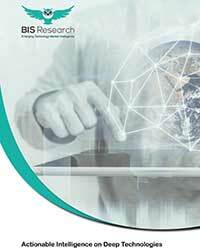 A detailed competitive benchmarking analysis, which focuses on the ?key market developments and strategies, followed by the top players in the market, has been included in this report, to analyze the competitive strength of the players in the global cognitive electronic warfare system market.